It's best to stand over a folded towel or a sink of water when handling your denture, just in case you accidentally drop it. Brush the denture (preferably with a denture brush) daily to remove food deposits and plaque, and keep it from becoming permanently stained. Avoid using a brush with hard bristles, which can damage the denture. 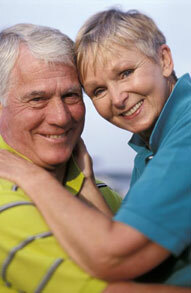 Pay special attention to cleaning teeth that fit under the denture`s metal clasps. Plaque that becomes trapped under the clasps will increase the risk of tooth decay.